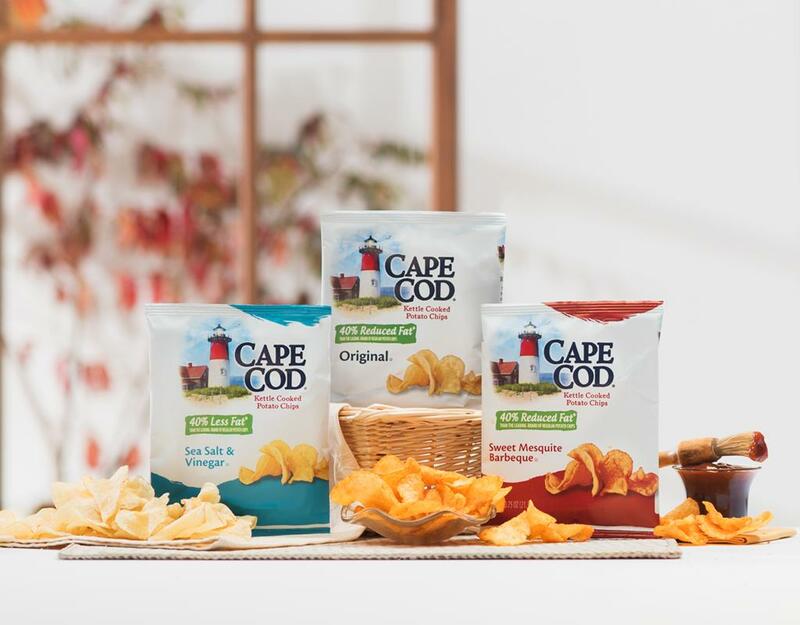 Cape Cod is the home of Ridiculously Good Chips! 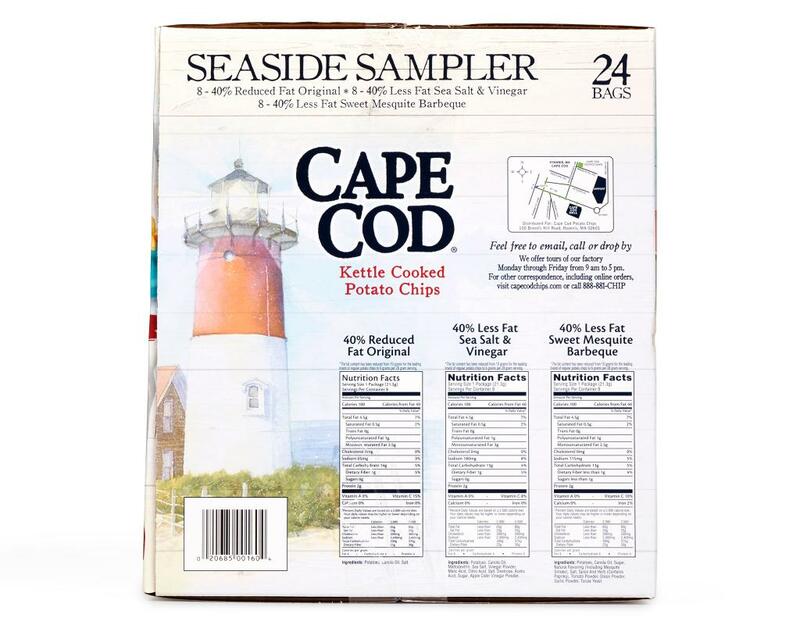 Cape Cod takes simple ingredients - hand-selected potatoes, oil and salt - and transforms them into delicious, satisfying all natural kettle cooked potato chips. 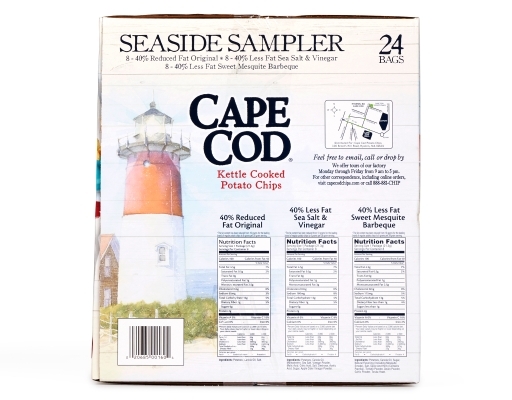 Cape Cod Potato Chips are always made one batch at a time in custom kettles to give them their distinctive crunch and unique flavor. 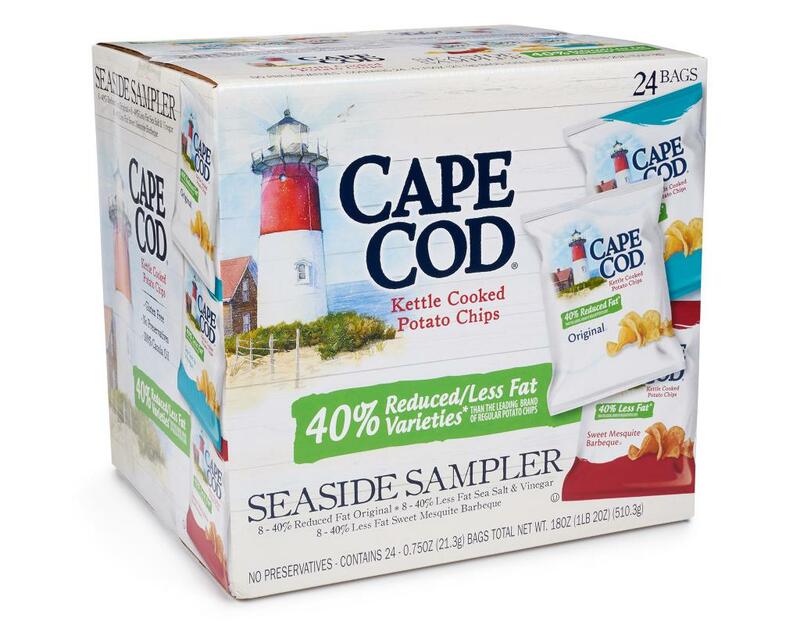 With simple ingredients like fresh potatoes and canola oil, these reduced fat potato chips taste remarkably similar to the original chips. All the 40% less fat varieties are kettle cooked to remove excess oil and reduce the fat naturally. 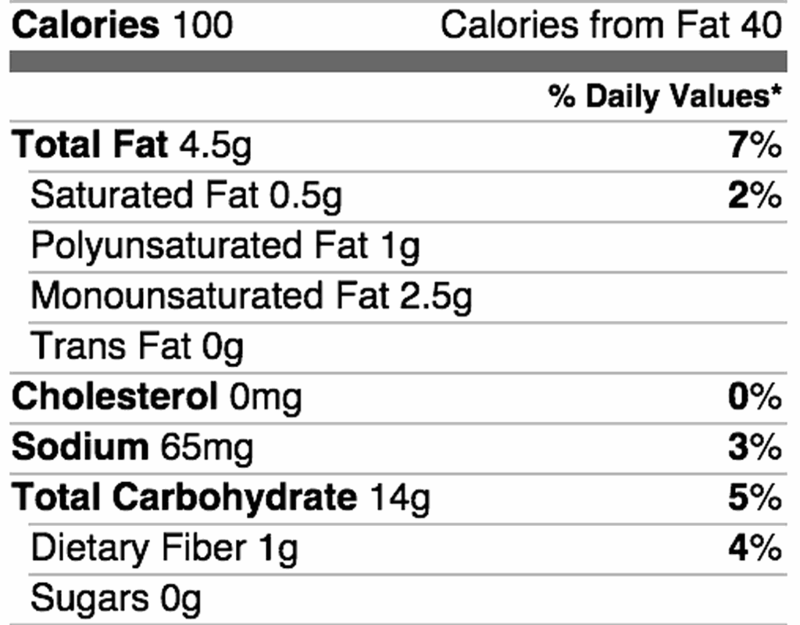 So expect the same taste, and delight in the fact that it has 40% less fat. • Original: 100% Satisfying. If these reduced fat potato chips taste remarkably similar to the original chips, that’s because they are. 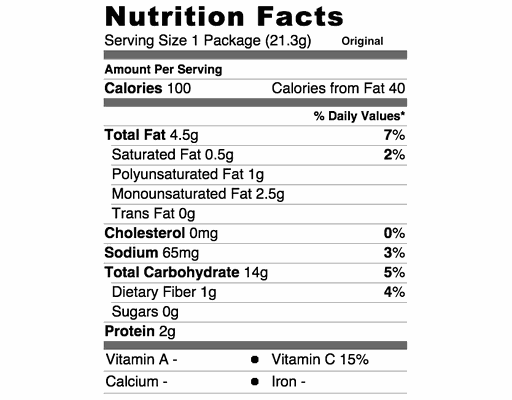 Just fresh potatoes, canola oil, and a light sprinkling of salt. 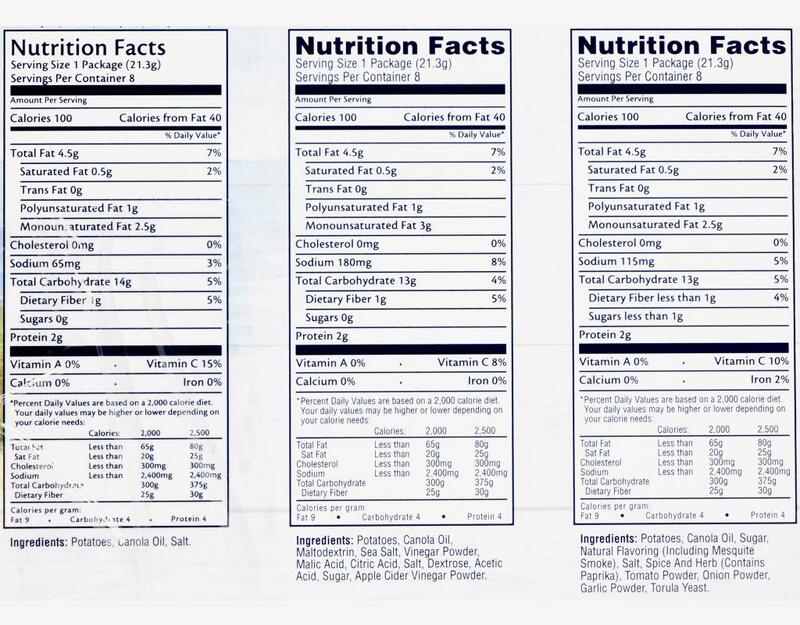 The difference is that after they're kettle cooked, they're flash baked to remove excess oil and naturally reduce the fat. 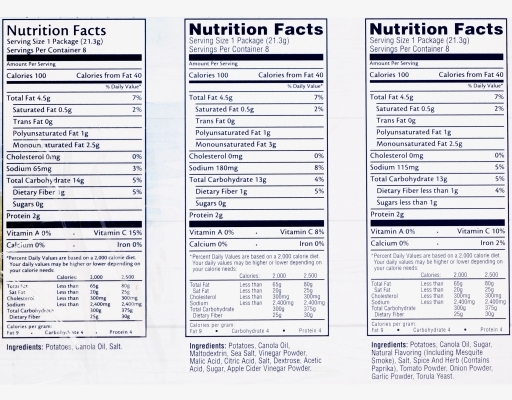 There’s no need for you to sacrifice one ounce of satisfaction. • Salt & Vinegar: A little more kick. A little less fat. This version of the salt and vinegar chip is different in a lot of good ways. 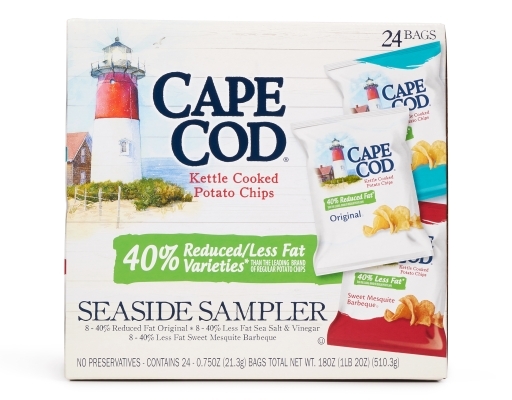 For starters, the thick-sliced kettle chips offer a full, robust potato flavor. 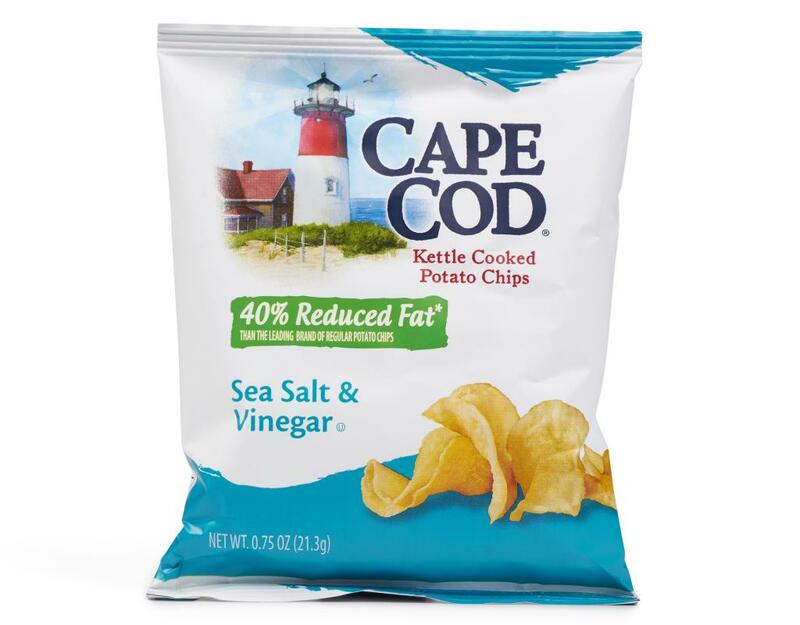 That’s why Cape Cod adds a bit more vinegar than you might find on a thinner chip. These chips are also flash baked to remove excess oil and naturally reduce the fat. 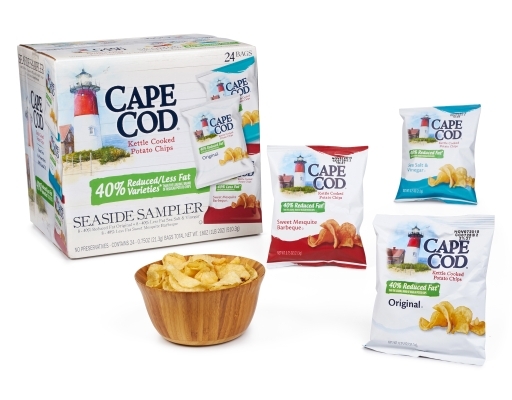 You can’t miss the full flavor and hearty crunch. 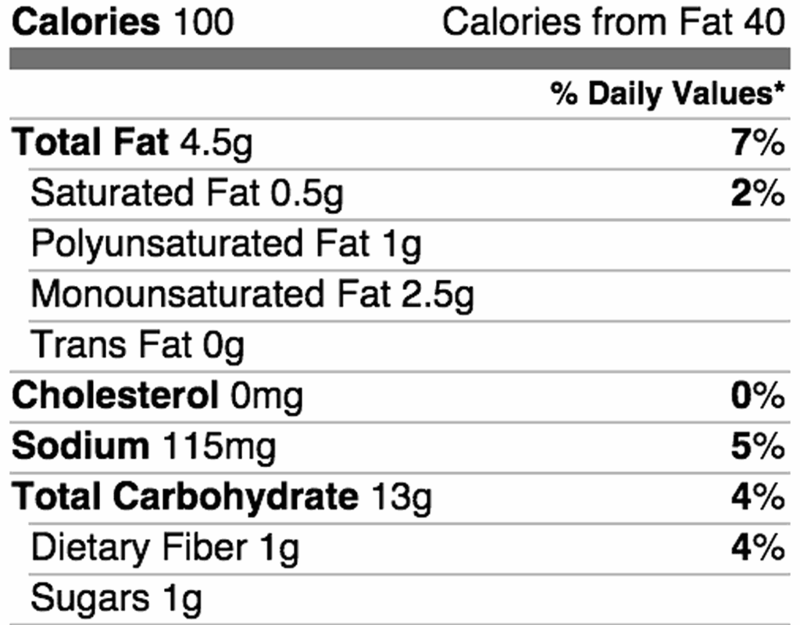 And you certainly won’t miss the fat. 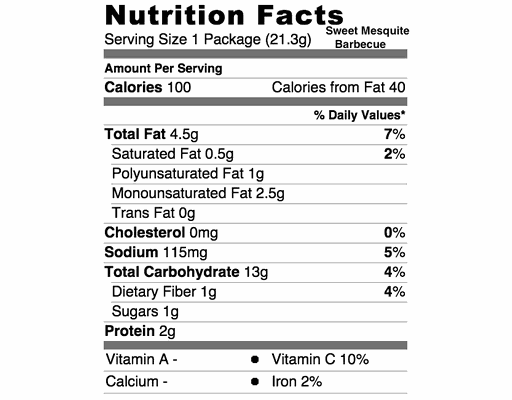 • Sweet Mesquite Barbecue: Sweet. Smokey. Satisfying. 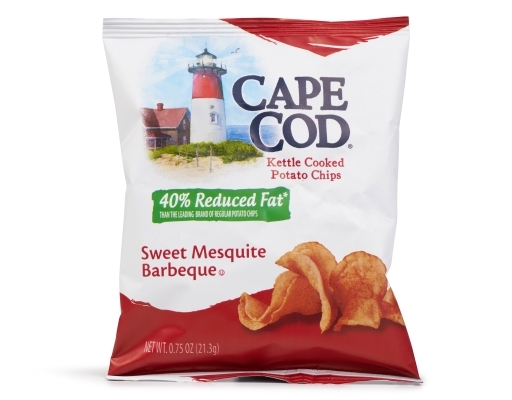 Great barbeque isn’t one flavor, but many. To craft these chips, Cape Cod combines a special blend of tomatoes, onions and natural spices to create a sweet, full-bodied barbeque seasoning. Then they add a touch of mesquite smoke to take it all to the next level. 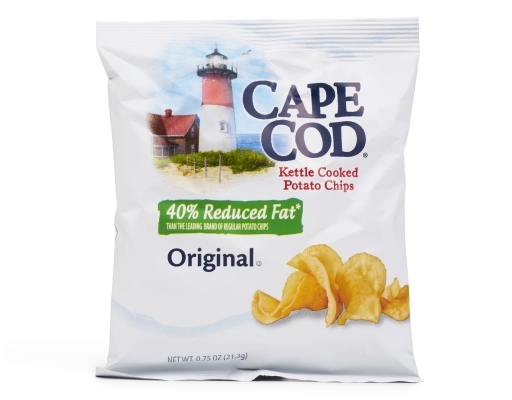 These potato chips are also flash baked to remove excess oil and reduce the fat naturally. 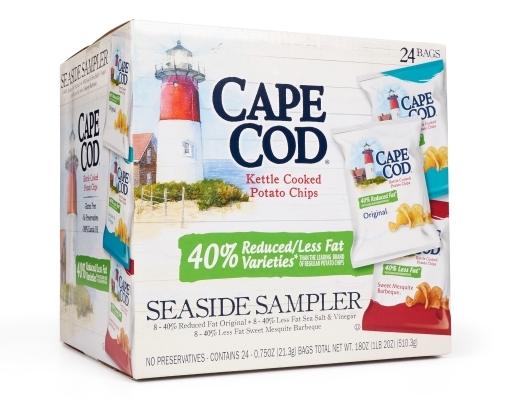 So every chip holds layers of flavors, a hearty crunch, and 40% less fat.